Treat skin to nothing-but-natural goodness. 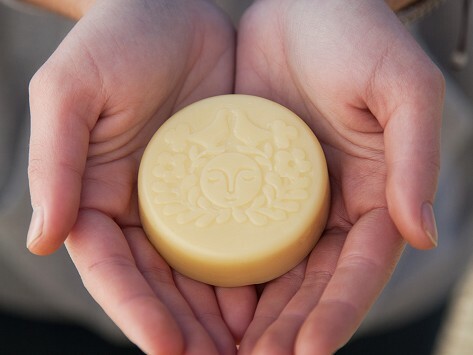 This beeswax lotion bar warms up in your hands to smooth it on. It's made in Washington on an organic, certified B-Corp family farm with organic beeswax, essential oils, and other skin-pleasing ingredients like Vitamin E. This result is a natural way to soothe dryness and lock in moisture that feels—and smells—amazing. Used once and bought another one immediately-didn’t want to ever be without! The scent is amazing-perfect-one of my favorite Grommet products! The BEST product out there, I LOVE IT!!! I LOVE THIS lotion bar! It feels and smells amazing!!! It keeps your skin very moisturized, soft and supple, and protected for the longest time!!!! It's better than the rest. It is all natural - very important!!! Guess what else - it is COMPACT and SPILL PROOFED). This bar is literally melt- in -your- hands lotion. It has kept me, a very dry 65 year old feeling supple and sweet. Just wonderful and will buy again when it's done.